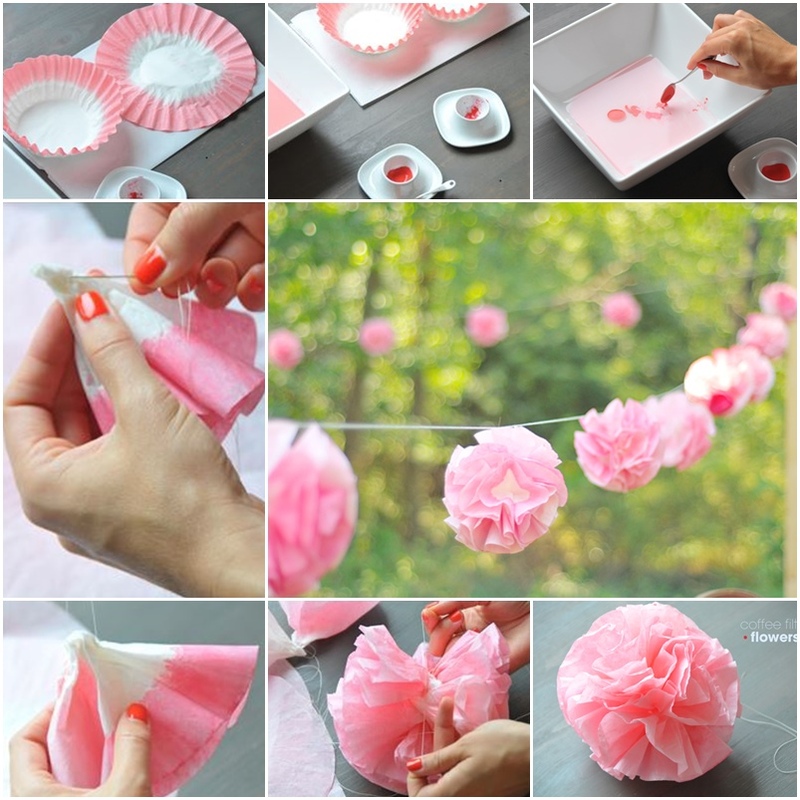 This is an easy way to make pretty flowers with coffee filters. These flowers garland is perfect decoration for for baby shower, summer party, wedding ceremonies etc.. You can change these flowers color according to theme. Happy crafting.